If animals have moved into your home, it is important for you to identify what type they are and to hire professionals to remove them. A variety of different types of animals may invade your home. Some can cause structural damage, and their droppings may cause people to have respiratory issues. The professionals at Germantown Pest Control & Termite offer wildlife removal services so that you can safely remove animals that have infested your home. While squirrels may be fun to watch as they scamper about your lawn and your trees, they are considered to be pest animals because they like to move into homes. Squirrels may take up residence in your attic, chimney or walls. They are able to enter through small openings. If you hear squirrels running around in your attic, it is important that you have them removed promptly. Squirrels can cause a lot of damage by chewing through wires and insulation, and their urine and droppings may also cause respiratory illnesses in some people. We are able to locate the squirrels in your home and to safely remove all of them. We will also identify and seal up their access points so that they cannot get back inside. There are 34 different species of snakes in Tennessee, and only four of the species are poisonous. However, few people want to have snakes infesting their homes. 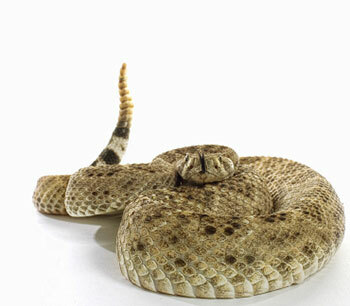 In the state, it is also illegal for you to kill or harm snakes that come from the wild without having proper permits. If you find a snake in your home, you should call our professionals to have the snakes removed. In many cases, when one snake is present, there are likely more that are hiding. Germantown Pest Control & Termite can help to find all of the snakes that are present in your home, remove them and seal up their points of access so that they stay away. Armadillos are considered to be pests because they dig and burrow. They may cause damage to your property by digging and burrowing under sidewalks and cracking the concrete. They might also cause problems by burrowing tunnels under your home. If you have a population of armadillos that have moved into your lawn, you will need to trap and remove them from your property. We are able to help to trap the population of armadillos and remove them from your property for you. If you have skunks that have invaded your yard, you likely would like to get rid of them. Skunks do eat other harmful pests, but most people dislike them because of their odors and because they can dig under your foundation. In order to rid your lawn of skunks, you will need to be able to trap them and to then remove them. Germantown Pest Control & Termite can safely and humanely remove the skunks that have invaded so that your peace of mind can be restored. Raccoons can cause significant damage when they invade your attic. They can chew through wires and pipes. They are also aggressive when they are approached. If you have a raccoon problem, you will likely need to get professional help to remove them and to keep them away from your property. Germantown Pest Control & Termite has the expertise that you need to safely and humanely remove wildlife pests from your home and property. To get a free quote for our wildlife removal services, contact us today.